Prime Minister Justin Trudeau is expected to apologize Thursday for the way Inuit with tuberculosis were treated during the mid-20th century by the Canadian government. 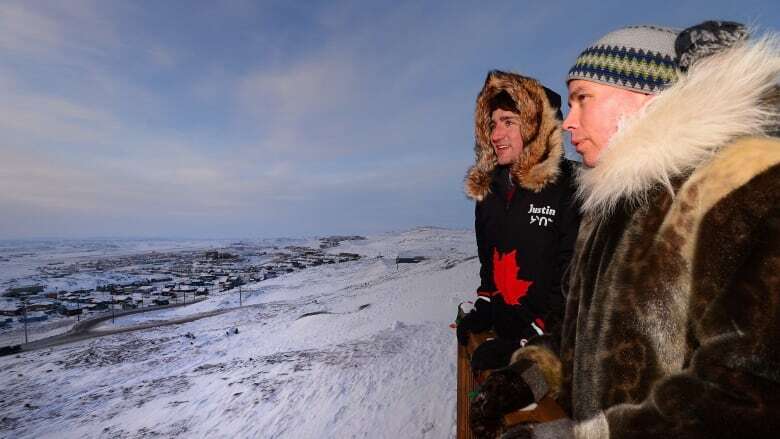 The Prime Minister's Office confirmed he will be flying in to Iqaluit Thursday. The apology will take place at the Frobisher Inn in Iqaluit and will be open to the public, according to Inuit Tapiriit Kanatami, the organization that represents Inuit in Canada. Between the 1940s and 1960s, nearly half of Inuit in the eastern Arctic were taken from their homes to southern Canada for treatment of the disease, often without their consent or an explanation to their family. Inuit were taken by ship to sanatoriums, sometimes staying for years, where the food and language were unfamiliar. Parents and children were separated without a way to keep in touch and many still don't know where their family members, who died while in southern Canada, are buried. Trudeau is expected to outline plans for a database that will give Inuit access to the medical records of tuberculosis patients, so that they can finally find the gravesites, according to the Canadian Press. Plans for the apology were discussed as part of the Inuit-Crown partnership signed by Trudeau and Inuit leaders in 2017. Iqaluit resident Jack Anawak will attend the event. "Because of colonialism at the time we were — it seemed — we were not deemed important enough to be made aware of exactly where our relative was exactly, how she or he was." He lost his adoptive mother to tuberculosis when he was seven years old on March 8, 1958. When she died, Anawak hadn't seen her in more than two years because she'd been in southern Canada for treatment. He heard she had died through the radio connection Catholic missionaries had with the church in Churchill, Man. Anawak's father remarried after her death, and later Anawak's stepmother was also sent away for two years for tuberculosis treatment. Anawak said he still thinks about what their lives and others might have looked like if they hadn't been taken south for treatment. "A lot of people... lost several years of their lives, or seemingly to me lost several years of their lives being down South when they could have been up in Naujaat living a traditional hunting and gathering type of existence." He remembers growing up and not always knowing where community members were. Anawak expects the actual apology to be "anti-climactic," but suggests those attending or listening should be surrounded by friends and family for support. He said what's important is what happens after the apology. He hopes it will reinforce the idea that there's still work to do. "Let's do more to find those people that never came back. Let's find out where... they passed away. Where they are buried."